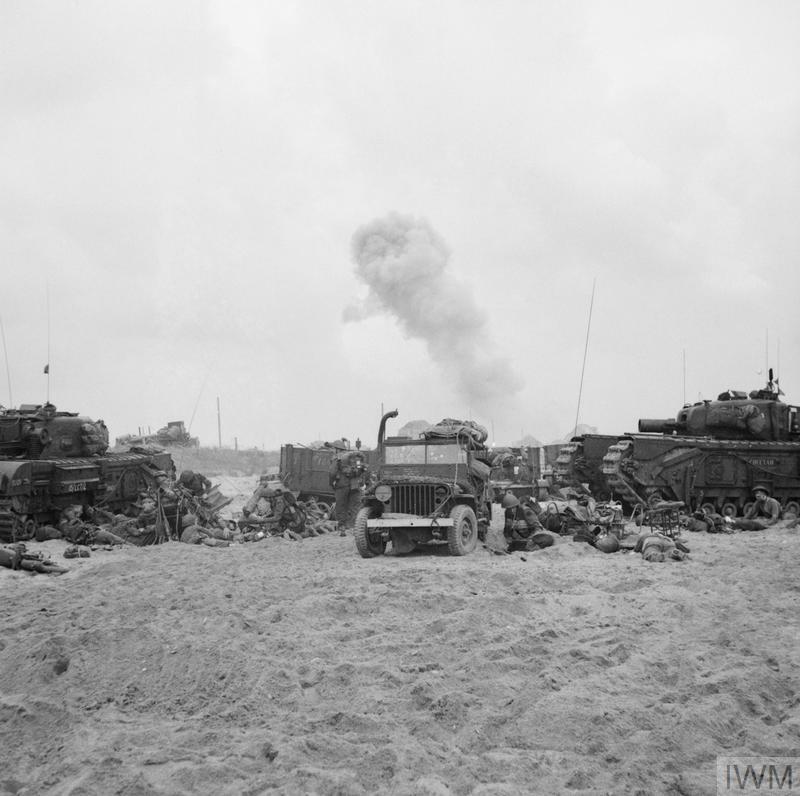 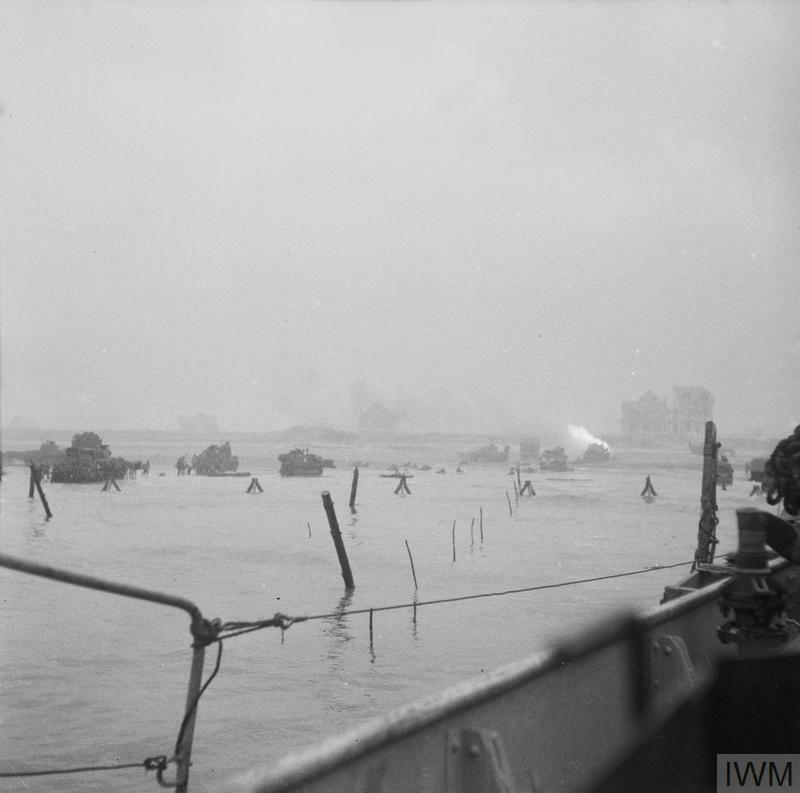 Troops of 3rd Division on Queen beach, Sword area, 6 June 1944. 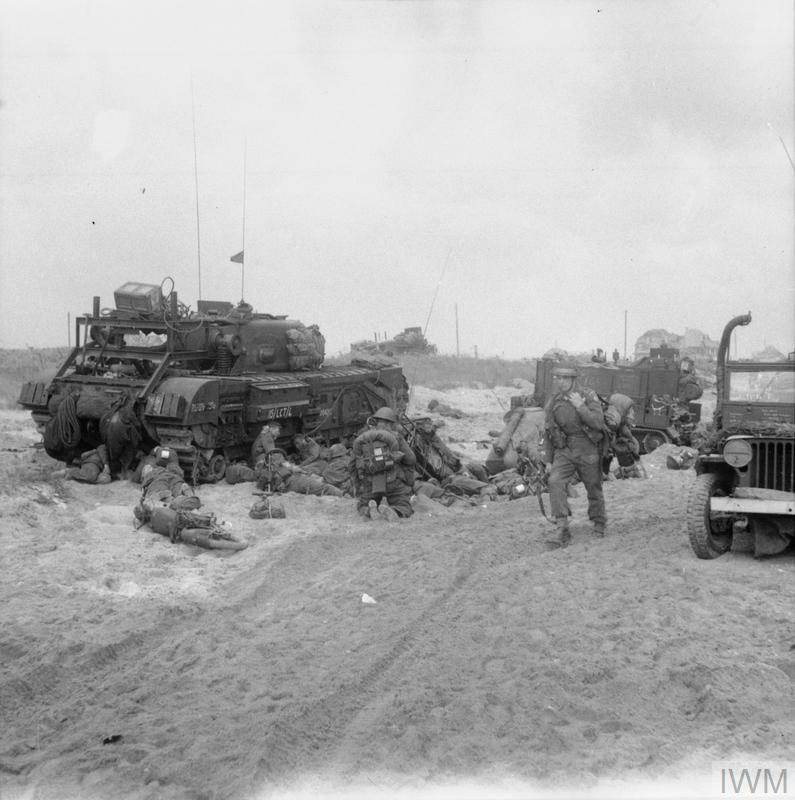 On the left, medics attend to wounded next to a disabled Churchill AVRE from 5th Assault Regiment, Royal Engineers. 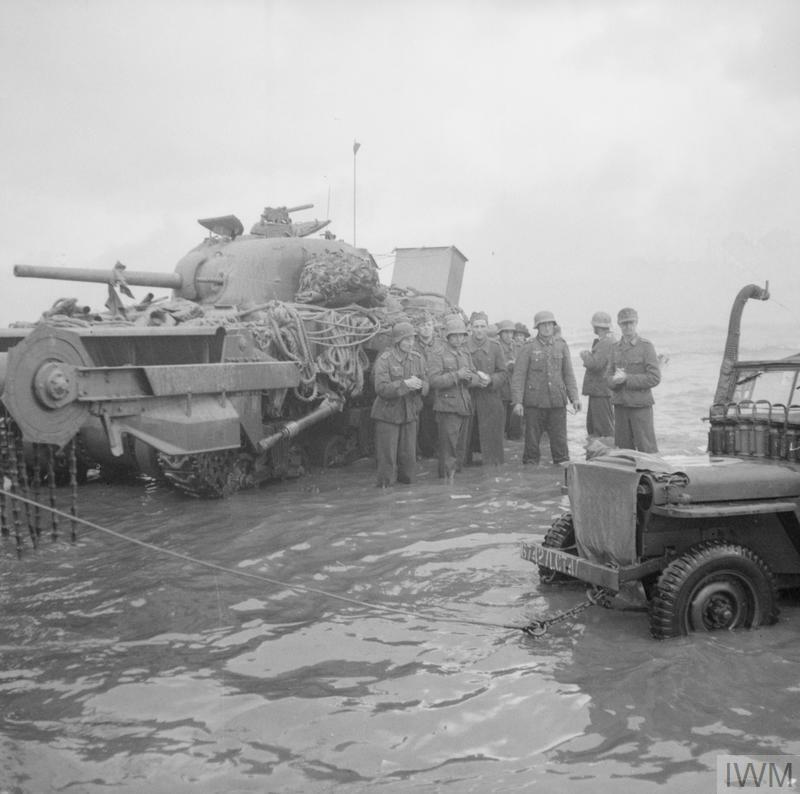 The AVRE is a SBG bridge carrier, and has already laid its bridge.